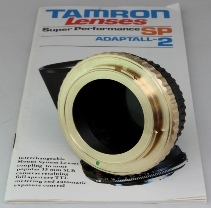 THIS TAMRON ADAPTALL Mounting has been produced due to the need for a high quality unit which has been requested from my various customer enquiries to produce a high quality unit. This is because of major problems with the varying cheap and low quality Adaptall adapters that are widely available from world wide sources. 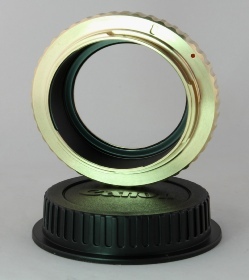 These low quality adapters are manufactured using cheap aluminium or I have even seen plastic adapters being used. YES YOU HAVE HAD THIS PROBLEM TOO??? 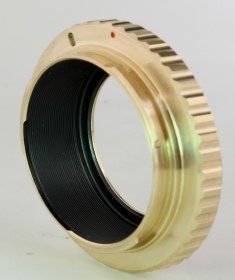 The unit is manufactured from a single billet solid brass and machined to produce an exceptional Tamron Adaptall -EOS mount unit, this is a unit you will purchase once in a lifetime and will last you a lifetime.